Grilling Fanatics or EGG HEADS!! We are looking for 20 teams to compete in the THIRD Annual 2019 EggFest Ultimate Grilling Cook-off in Alaska on June 22nd, 2019. Are you interested in being a contestant? Each cook-off team will receive a $50 meat voucher from Mr. Prime Beef, 10% off Coupon for EGGCESSORIES at Allen & Petersen, two commemorative t-shirts, and a chance at thousands of dollars in prizes for an entry fee of $100. Purchase a once-baked demo egg today from your Big Green Egg Headquarters at Allen & Petersen Cooking and Appliance Center. Just pre-order, pay now, and pick up after the Alaska Eggfest - Don’t miss this deal purchase now. dual function metal top and locking casters, Egg handler, Ash tool, Grill Gripper. Become a Sponsor for this amazing ALASKAN event. 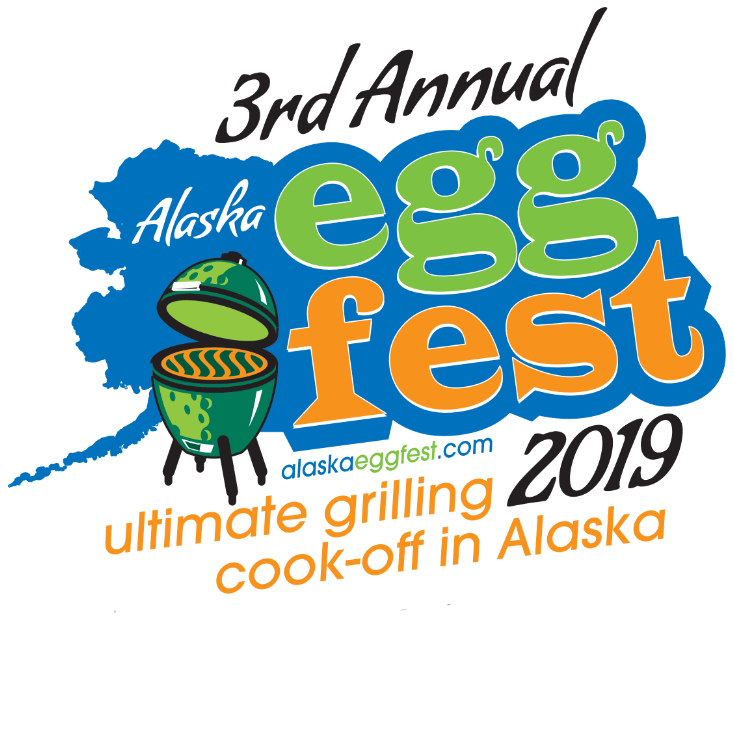 Join Us for the 3rd Annual 2019 Alaska EggFest - the Ultimate Grilling Cook-off. Want a BOOTH at the 2019 Alaska Eggfest? Space is available for you to promote or sell products for your business. Booth Sizes start at 10’x10’ for only $200 - Space is limited sign up today. (50% of admission donated to MDA). Join our Sponsors and EggChefs for a day full of great Tastes, Booths, Activities, Anchorage Fire Engine on Site, and More at the The 3rd Annual 2019 Alaska EggFest Ultimate Grilling Cook-off in Alaska. Cash Prizes going to the Top 4 in the Meat category and Gift Cards going to the Top 2 in each Side Dish Category - sponsored by Allen & Petersen. Thanks for Signing up to Compete! Without you Eggfest is simply a bunch of hungry people hanging out in a parking lot. NEW to 2019 - Contestants can set up at 2PM Friday and select their spot under the tent on a first come first serve basis. Each team is required to provide 300 "bite size" samples of BOTH MEAT & SIDE (we are not asking you to cook more, we are asking you to serve smaller portions to each taster). Both meat & sides are still required, but Sides will be judged in 2 categories "Savory & Sweet" (1st place and Runner up awarded to the Savory Category and 1st place and Runner up awarded to the Sweet Category). Please understand you can only enter one Side Category... you choose Savory or Sweet. We will print individual punch tickets for tasters as well as individual voting cards for Meat and individual voting cards for Sides for the People's Choice Awards. EggChefs can set up Friday the 21st in the secured tent at the Alaska Airlines Center from 2pm-5pm and should join us for the EggChef Meet & Greet at 5 pm under the tent at the Alaska Airlines Center. Lighting of the Eggs will immediately commence, (if you are staying the night for a long cook there will be designated RV parking). Please plan to light your Egg as early as you need to in order to have your food to a judge by 10am on June the 22nd, and to have food ready when the hungry crowds arrive by 11am on June the 22nd. You may prepare rubs or sauces ahead of time, but all cooking must be done onsite. EggChefs should be prepared to provide a minimum of 300 bite sized samples of the meat and 300 bite sized samples of the sides to our tasters. 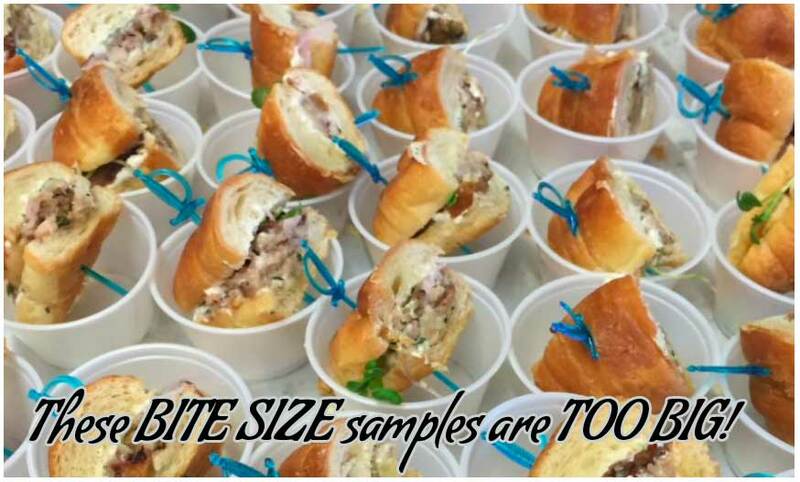 Remember, you are providing bite sized samples – you are not expected to provide a meal. More is fine and you are encouraged to show off your skills! Generators are allowed. Pasta may be boiled at home and brought on site, but can also be boiled on site with a hot plate as well. We assume you will be cooking on your assigned egg for the entire day. Tasters will each pay $15 admission to try your fare from 11a to 2p, with 50% of admission going to MDA. Tasters will cast votes for the People’s Choice Award for best meat and best side - with the winner taking home more great prizes. The people’s choice awards will be based on the food that is presented to the judges, so you will want to have enough of what you provided to the judges for the tasters. We have reserved a large tent that should house us all, but in case of inclement weather we encourage you to bring a canopy tent if you have one. You may not need it but it’s nice to have as a backup and to possibly loan out to your neighbor. Eggcessories will not be provided, but are available for EggChef’s to purchase from Allen & Petersen Cooking & Appliance Center are listed below. We encourage you to shop early as the day of we could find ourselves wiped out. We’re here to help! We will have staff assigned to assist you with unloading & moving your supplies to your egg. We will provide, monitor, and empty trash cans constantly! Complete thIS 2 Step process to reserve your space and Egg for the Cook-off - entry fee $100. Each cook-off team receives a $50 meat voucher from Mr. Prime Beef, 10% off Coupon for EGGCessories from Allen & Petersen, two commemorative t-shirts, and a chance at HUNDREDs of dollars in prizes! NEW to 2019 - Contestants can set up at 2PM Friday and select their spot under the tent and 300 "bite size" samples of BOTH MEAT & SIDES REQUIRED (we are not asking you to cook more, we are asking you to serve less). Sides will be judged in 2 categories "Savory & Sweet" (1st place and Runner up awarded to the Savory Category and 1st place and Runner up awarded to the Sweet Category). Please understand you can only enter one Side Category... you choose Savory or Sweet. Teams can have up to 4 people ONLY (Minimum of 2), and You may Display your sponsor's swag. STEP 1: Complete Form and click the Summit button. Thank you for completing STEP 1 to the 2 part sign-up. Please Complete STEP 2 and pay the entry fee to receive your $50 Meat Voucher from Mr. Prime Beef. We are looking forward to see you at the MEET & GREET on Friday June 23rd at Allen & Petersen (and pick up your T-shirts). and to all our competitors for making such tasty bites to share!! Along with the grilling cook-off winners, their giant checks, COW plaques and tiny fry pan trophies, we had some other great giveaways at the #alaskaeggfest including a Mini Max "Big" Green Egg AND $20 for the Egg Coloring Contest, thanks to all who attended from the Anchorage Fire Department and our wonderful sponsors, PLUS we were able to PRESENT A $2000 CHECK TO our friends AT THE MDA.